by Richard Appignanesi and Oscar Zarate. Icon Books, UK. Pages 176. £ 9.99.
despair, anxiety, the absurd, nothingness and so on. But Hamlet’s "problem of being" does not of course make him an existentialist. Besides, he is a fictional character and his speech comes as an ironic intimation of that. Richard Appignanesi and Oscar Zarate explores the nature of such problems. condemned by the gods to roll a stone endlessly up a hill, only to have it roll back and to start his task all over again. By 1942, Camus and others were questioning why one did not commit suicide since life was discovered to be completely devoid of meaning. However, to commit suicide has less to do with the anguish of living; rather, it implies the human will to overcome the eternal fear of death. When the fear of dying is conquered, the mind will no longer search for meaning in life, or lament about the apparent meaninglessness. "With the possible ‘death of death’ there is no need for meaning at all." choice to the one who ends his life, allowing him or her to have control over the indefiniteness of life. It is thus that the existentialists would claim that meaning can be derived from nothingness. accepts this and "says yes to his task", when he himself chooses to continue the torture which has been imposed on him. He becomes master of his own fate. The absence of any controlling force in the universe (or "essence") thus becomes a positive factor. Sisyphus is the perfect symbolic hero in that he attempts to save mankind from death which in its very incomprehensibility, is also a kind of pointlessness. ideology on its margin". 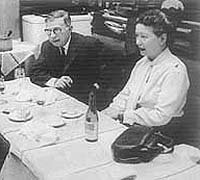 Sartre had spent a year in Berlin studying Husserl and existentialism’s chief technical philosopher, Heidegger. Husserl, following quantum theory, interrogated how any proposition offered by science could be objectively true. Like Descartes, Husserl too leans towards reductionism in giving certainty to consciousness ("I think, therefore I am"). had already imbibed from his training. That is how his version of "cognito" came into being. But where cognito was the thinking individual for Descartes, for Husserl it is consciousness of the world which constitutes being. In Husserl’s thought, only consciousness is certain, which, on its part, is connected with the world through "intentionality". age. For Heidegger, the relationship of existence to essence may be related to the bigger issue of being. Neither Kant nor Kierkegaard look at being as ontological. artist, Oscar Zarate, is seen accompanying Husserl and Heidegger on most pages of the book. Sartre uses the Heideggerian notion and posits that the human self has existence but no essence. He takes up Hegel’s ideas of "being-in-itself" and "being-for-itself". The former implied a kind of "is-ness"; the latter indicates what one "has to be". Sartre’s hero, Roquentin (nausea), comes to this realisation as he rides in a streetcar in Bouville: "This thing I’m sitting on, leaning my hand on, is called a seat. They made it purposely for people to sit on, they took leather, springs and cloth, they went to work with the idea of making a seat and when they finished, that was what they had made." Roquentin surmises that things as they are have no relationship with what is attributed to them or the names that we give them. The world is too full of words and explanations, essences, reasons and truths that determine the nature of things or being. That the streetcar’s seat is a seat is only one interpretation. Since essences hardly fit existence, Sartre/Roquentin is faced by nausea at the world. Everything around is nothing and yet something at the same time. Suffocated, Roquentin jumps off the streetcar and sits on a bench in a park where he sees the exposed roots of a chestnut tree: "Never until these last few days had I understood the meaning of ‘existence’ . . . and then, all of a sudden, there it was clear as day." Sartre’s famous chestnut tree vision indicates how there is complete lack of reason and rationality in the being of all things in this world. Nothing is necessary or desirable. This is Sartre’s view of the absurd and the end of Roquentin’s nausea. This visionary experience spells out the end of God and the Cartesian thinking individual, all of which are essences created to approximate to the self. Descartes claimed that every time one was conscious of thinking, one confirmed that one existed. But Sartre reworks Descartes and says that consciousness is empty. To think, for the consciousness, is an act of essentialism. We think only when an object imposes itself upon the consciousness. that it brings about an alienation from consensus and the majority. This choice also involves the freedom not to choose. Hence, Sisyphus will not choose a life without torture that all of us undoubtedly will. And thus Hamlet will always procrastinate between being and not being. that many might have purchased this book for origins and definitions of a complex concept. Instead of taking the reader to the deep end, I would advocate a simpler understanding of the concept derived, perhaps, from Fuller who writes: "Their major and differentiating thesis is the metaphysical pronouncement that ‘existence is prior to essence.’ What this means for the existentialist is that human nature is determined by the course of life rather than life by human nature."